What if the entire newspaper industry made a large mistake, printed on the front page of the morning paper. In today's business world, a mistake like this doesn't simply impact the newspaper company, it also can have a larger effect on money and brand. In an urge to keep up with digital news outlets, it's essential for paper print companies to heavily focus on what they do best: print. Newspapers can still remain the best source of information regarding government, industry, and institutions that affect every aspect of our lives. 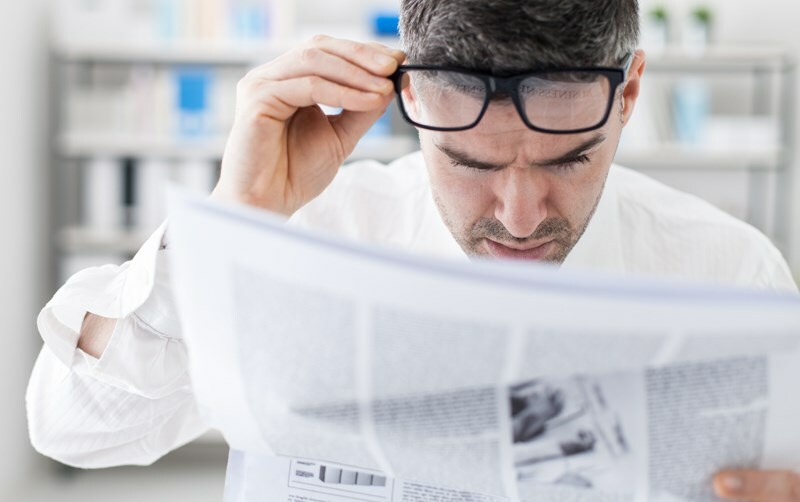 In order to ensure that newspapers remain alive and well, it's essential to use third party resources such as newspaper experts, and print with a well-known and knowledgeable newspaper printing company. Park Press offers over 48 years of experience when it comes to production, marketing, and mailing of newspapers. As a premier, full-service printing company, we assist with community newspapers, business newspapers, school newspapers, and many others. Using a third party for your editing, design, and printing makes it easier to focus on other aspects of the newspaper business. With us taking over certain tasks, you can dedicate more time to finding and writing quality stories that best serve your customer base. Are you ready to take your newspaper to the next level, and ensure that you stay in the game for years? Contact us today by submitting a free, online quote or giving us a quick call to learn more about our newspaper design and printing process.